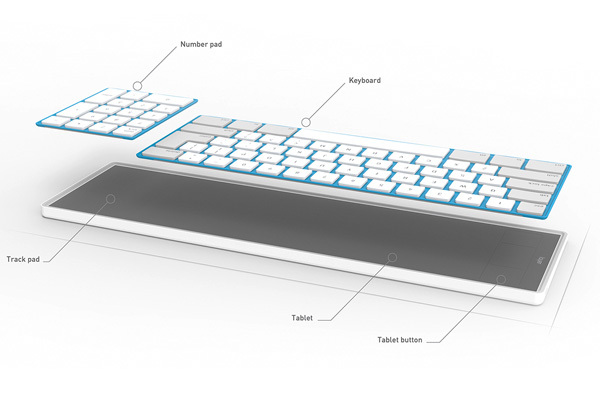 Overview: Besides using space crunch as an excuse, I think the innovation aspect of the Layer Keyboard is far more alluring. 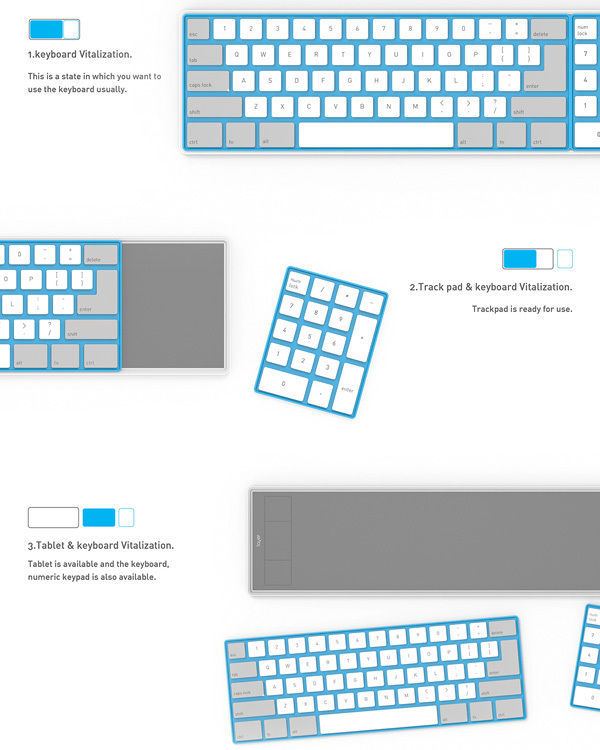 Hook it up to your system and use the basic keyboard as a modular mouse, number pad, or a sketching input device. Optimize your quaint desk and live better!